Natural agate brings you Chakra Cage Pendulum at a reasonable price. 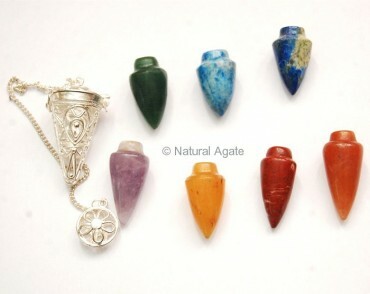 It has seven chakra stones beautifully carved, a chain and ball on the other end of the chain of same color. You can use the pendulum to remove blockages from the body and energize it.